Grab a laundry basket. In each room, toss in everything that isn’t put away or belongs somewhere else. Go to the next room with another basket. Repeat step #1. 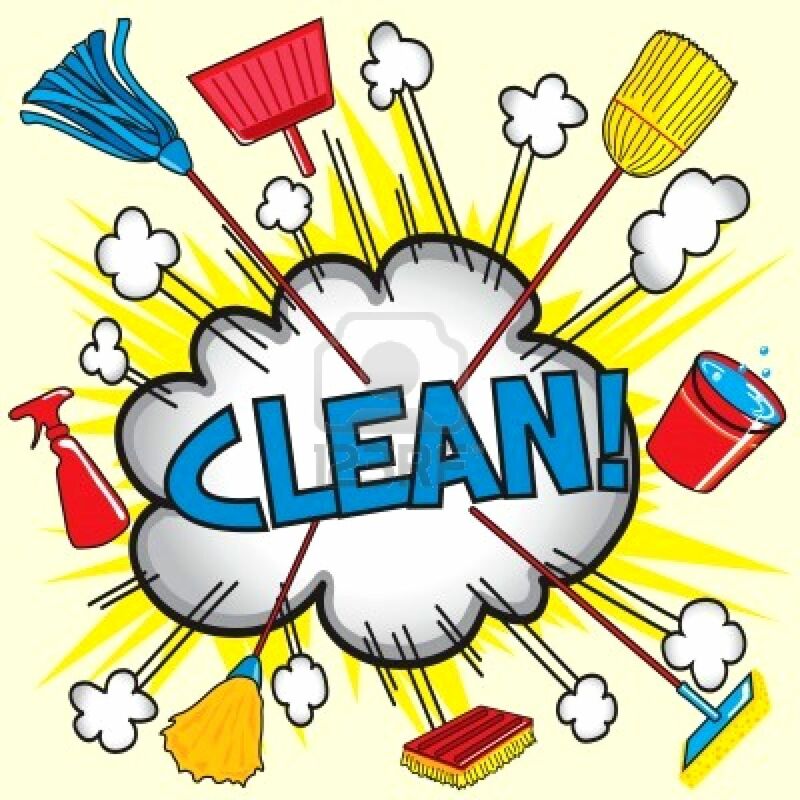 Repeat steps #1 and #2 for any other rooms you want to tidy up. For me, there are three bedrooms and a salon (living room/dining room combination). Sweep the floor (we don’t have carpets). Go back to the first room. Make the bed. Put away items from the basket. If it belongs elsewhere, put it in the room where it belongs. Repeat with the other rooms. In our salon, I straighten the couch cushions and pillows, put all those annoying advertising circulars in the recycle pile, and geniza in the geniza bag (holy words of Torah you are not supposed to put in the trash can). The kitchen: I have limited counter space, so I set up a card table. All dirty dishes from the sink and counter I put on the table. Then I start washing dishes in stages. I put the silverware and bowls to soak. After a few minutes I wash those, then soak plates and cups. Next comes reusable containers (I hate doing these) and then cookware (my other least favorite). Sometimes I take a break between each round of dishes because I have to dry and put away. In any event, before I start the first round. I wipe down the counters. That’s all, folks. You may have noticed, I didn’t do cleaning. This was all straightening. That can be saved for another time…or bribe one of the kids to do it. If you find that in the baskets there are things you don’t know what to do with or where they belong, it probably an indication it’s time to do some decluttering and organizing. From my experience, most people want to do it, but don’t know where to begin. That’s where I come in. It generally takes between 2-3.5 hours per room to declutter and organize. Unless an item is truly trash, your things don’t get thrown out–they get passed on to families in need, a gemach, or second-hand store. Everyone wins. So, if you have followed the steps above, you should be able to get everything straightened up in time for Shabbos or last minute company. Thanks for reading. Now, ready, set, go!